Custom-made subs, named after the spectacular red cliffs in St. George, Utah where our facility is located. TruAudio knows that when you design and build custom sub woofers, they need to rumble the earth. With two models available, you can choose the one that best fits your application. 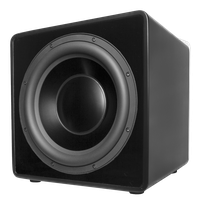 The deep bass frequencies of our Red Mountain Subs will amaze you. Feel the power. 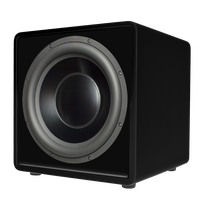 Red Mountain™ custom built 12" subwoofer, 500 watts, black wood veneer, single driver. Sold each. Red Mountain custom built 15" subwoofer, 1000 watts, black wood veneer, single driver. Sold each.